Downloadable Xbox 360 deals for Black Friday, Cyber Monday, all week! Posted in Gaming, XboxTagged XBLALeave a Comment on Downloadable Xbox 360 deals for Black Friday, Cyber Monday, all week! I literally have only had about an hour, so please consider this more first impressions than a full-fledged review, but I am reasonably impressed with the Gamestick. It’s true that the majority of the games available on the console aren’t new, and have been available on iOS or Android for 2 years already. But that doesn’t mean the developers haven’t put some care into them. Shadowgun is currently the best looking game to show off the console with, and it’s free to boot (I wonder if this is an introductory bonus?). For a 2011 game that was originally designed to be played on cell phones and tablets? It looks gorgeous on my living room television. I noticed some controller lag at a few points, but the game itself looked excellent and played without any noticeable slow downs or lengthy load times. I played a couple of other low resolution games which clearly took advantage of the twin-stick controller design and were easy to get the hang of. When thinking of the graphics of the games and the console, it is important to not get caught up in comparing this new breed of device to the major video game consoles. Does it look like the PlayStation 4 or the Xbox One? No. It’s also less than a quarter of the price. 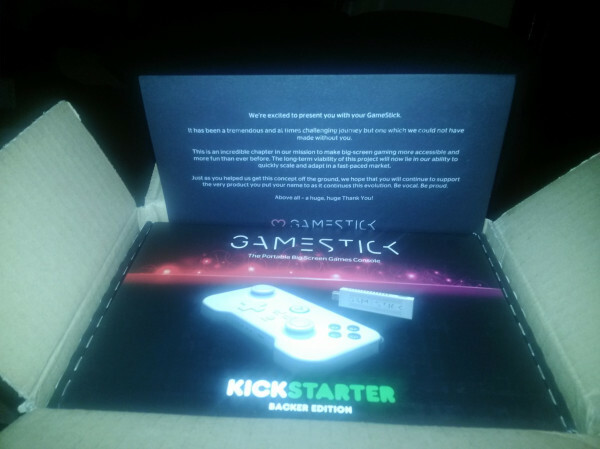 The main competition for devices like GameStick are the similar consoles on the market (primarily Ouya), and other similar tablets. As the tablet market evolves (a new iPad every year, and companies like Samsung pushing new tablets every few months), it may not be long before the GameStick’s ARM® CORTEX™ – A9 CPU & MALI™ – 400 GPU really show their age more than they already do. But still, try to remember the price-point. A new iPad will set you back just as much as an Xbox One, but nobody complains that its performance isn’t on par with the Xbox. Back to the GameStick itself. I was a little disappointed to find out I would need to connect it to an external power supply to run it. Although it’s not the end of the world, it does kind of defeat the purpose of the GameStick unit fitting inside the controller. On that note, as well, it is easily a two handed process to remove the GameStick from the shell of the controller, as it is a snug fit and the rubberized texture makes it mildly difficult to slide out of its compartment. Credit to the designers for the easter-egg-eyes inside the compartment, looking back at you if you peer in. The familiar ABXY arrangement is taken straight from the Xbox 360 controller, and the rest of the buttons were easy to use. The “click” of the D-Pad buttons is a bit annoying, and the L&R buttons are a bit rigid for my tastes, but at no time was anything “uncomfortable.” The controller itself feels a bit bulky, but it is not heavy, nor is it too large for my hands. As I mentioned, it isn’t uncomfortable, but at times you do feel strange with a big rectangle in your hands, as we’ve gotten used to more ergonomic designs of PlayStation, Xbox, and even the Ouya’s controllers. The GameStick service seems to be alive and kicking. Although I had no problems activating my account and logging in, the service may be under a bit of pressure from everyone checking out their new devices. The firmware update seemed to take an abnormally long time just to download (despite my being on a 30Mbps connection) – applying it didn’t take too long at all, but I did find it strange that I had to repeat some of the setup-steps I had already done (reconnect to WiFi, adjust screen size, etc…). Game downloads could also have been a bit faster, but the real disappointment was installation time. I don’t know what in the world the console was doing, but extracting and installing the games that were downloaded took several minutes. A 100MB game took roughly a minute, and the 300+MB Shadowgun extrapolated the install time similarly. I sincerely hope this can be improved in future releases. Nothing puts a damper on things like lengthy install or load times (leading my own father to comment, “what is this, Donald Duck’s Playground?” – a Commodore 64 title from my childhood notorious for lengthy floppy-diskette load times). To be fair, once installed, the game launched quickly, and loaded levels, etc… without any inordinate load times. I did have a strange issue with my WiFi being peculiarly weak. When all other devices in the same room had a strong or at least moderately strong signal, the GameStick was showing only about half-strength, and at one point appeared to lose connectivity. After only about 15 minutes of play time (and a roughly 30 minute period of downloading & installing the day-one firmware update, and downloading / installing some games) the GameStick unit itself was quite warm to the touch. 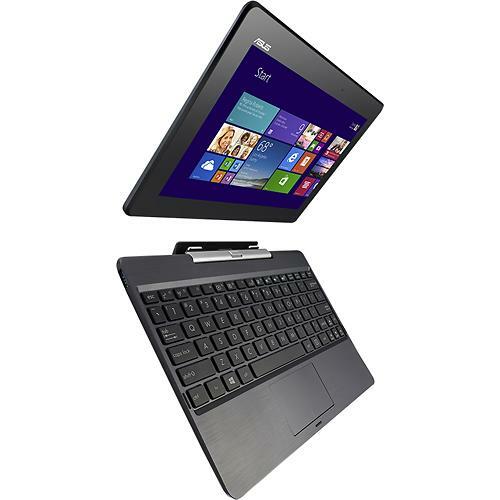 This is to be expected housing a device as powerful as many tablets in something physically smaller than my keychain! I am curious if it will stand up to “all-nighters” the way gaming consoles typically need to, time will tell. All-in-all, I think my VERY first experience with the GameStick was actually a BETTER “first” experience than I had with the Ouya, but these micro-consoles will hopefully continue to improve with firmware updates and support from the developer community. At this point, the GameStick is a nice toy at a great pricepoint, but to any parents thinking of picking them up for the holidays, keep in mind that everything is purchased digitally. You can’t go to GameStop and buy used games, or to your local video store and rent a game for your kid, most of the games are going to carry a small price tag, but if you’re an adult interested in something new to tinker with and don’t mind tossing a few bucks towards indie game developers, this could be right up your alley. Are consoles dead? Is it time to return to PC gaming? Posted in GamingLeave a Comment on Are consoles dead? Is it time to return to PC gaming?